Ever since I can remember, I have always loved the combination of cherries and limes. They are two of the most refreshing flavors on the planet so I wanted to share one of my favorite virgin drinks with you all. 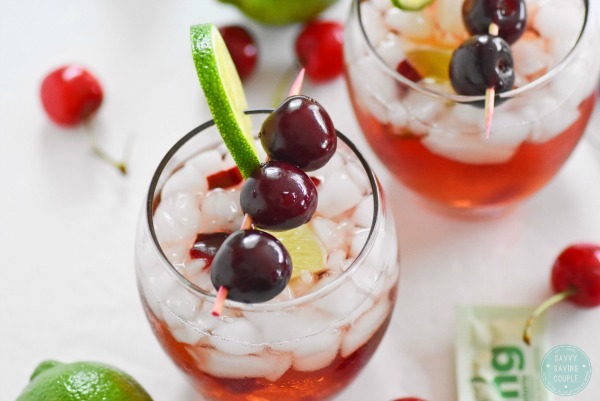 This Virgin Cherry-Lime Rickey is the perfect way for the entire family to enjoy a cool, crisp, and sweet drink this summer. The best part? 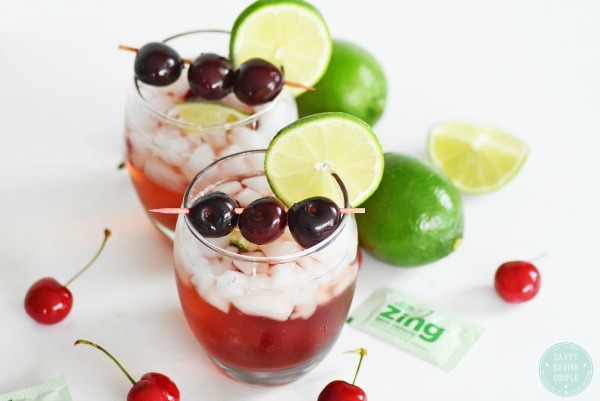 This Virgin Cherry-Lime Rickey not only uses tart cherry juice, fresh cherries, limes, and seltzer, but it also includes Born Sweet Zing™ Zero Calorie Stevia Sweetener. 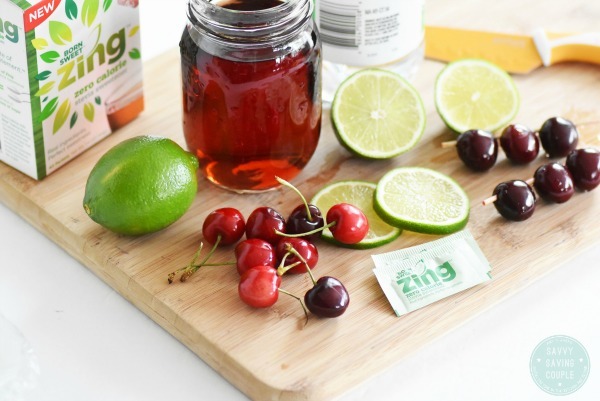 Zing™ Zero Calorie Stevia Sweetener is made with only real ingredients and nothing artificial. I prefer it to conventional beverage sweeteners because it contains no calories and tastes great! Every day, I start out with a hot coffee, which has 1 1/2 tablespoons of cream, and 1 packet of Zing™ Zero Calorie Stevia Sweetener. 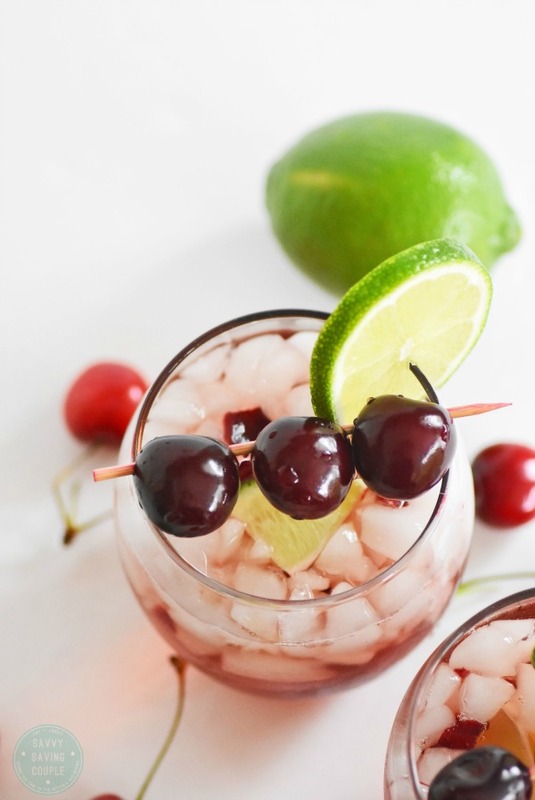 Since the weather will be in the 80’s this week, I stocked my fridge with lots of limes, and cherries so my family could enjoy this easy to make Virgin Cherry-Lime Rickey. I love how it is not too sweet, and oh so refreshing! My kids love to eat the mashed cherries at the bottom of their glasses (they get no ice in theirs), and chew on the lime afterwards. 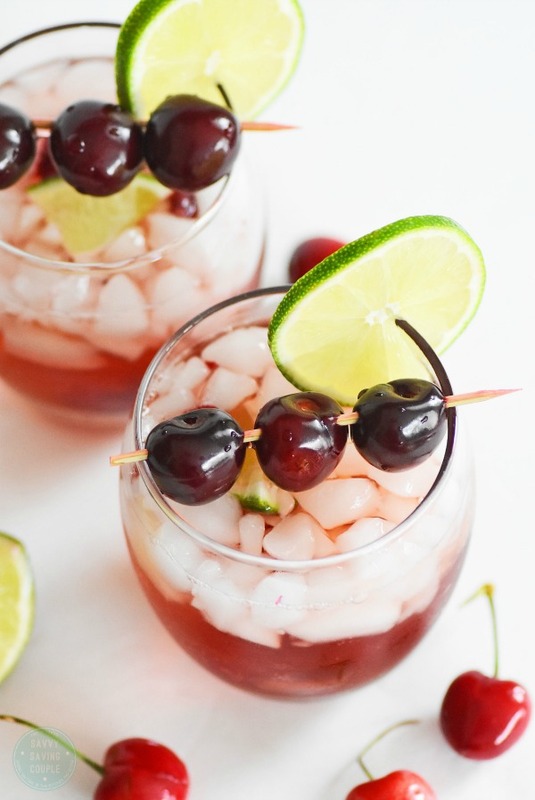 The gentle tingle of the seltzer water paired with the tart cherry juice, and lime are so delicious for the summer. Fill your glass halfway with ice. Add in your tart cherry juice, followed by fresh lime juice. Sprinkle in your Born Sweet Zing™ Zero Calorie Stevia Sweetener in your cup. Garnish with some fresh cherries, and lime. 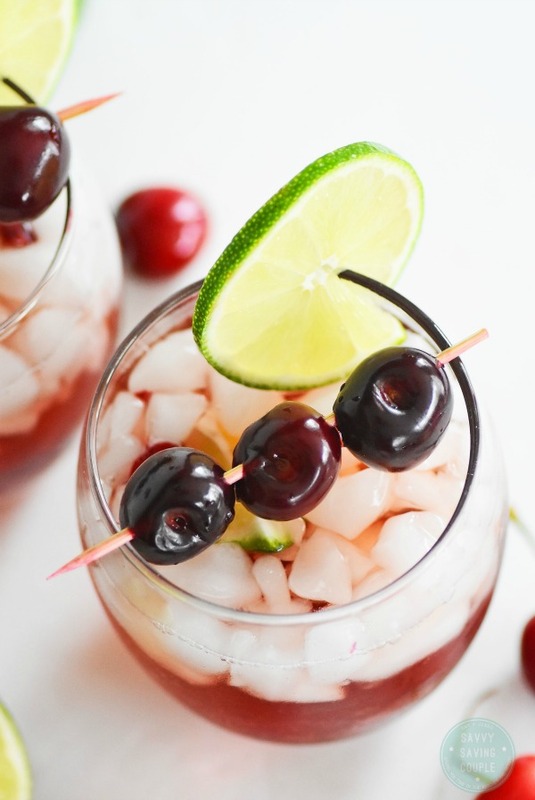 This Virgin Cherry-Lime Rickey is sure to refresh you and your entertaining guests this summer! 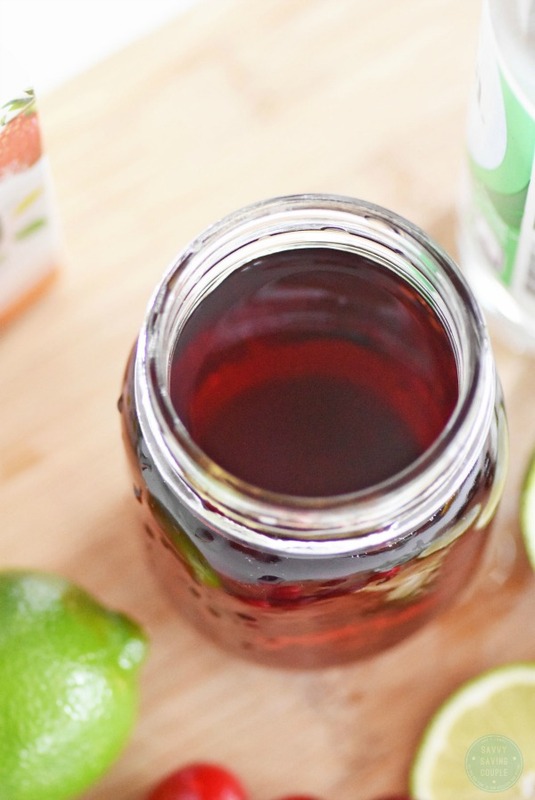 It is perfect for the kiddos or those who are allergic to alcohol like myself. 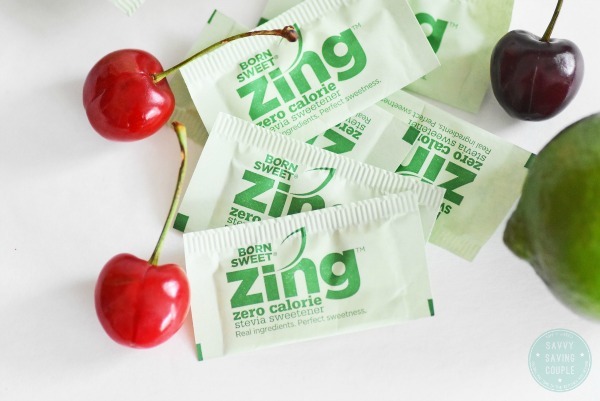 Want to try Born Sweet Zing™ Zero Calorie Stevia Sweetener? You can get a free sample when you visit their site. 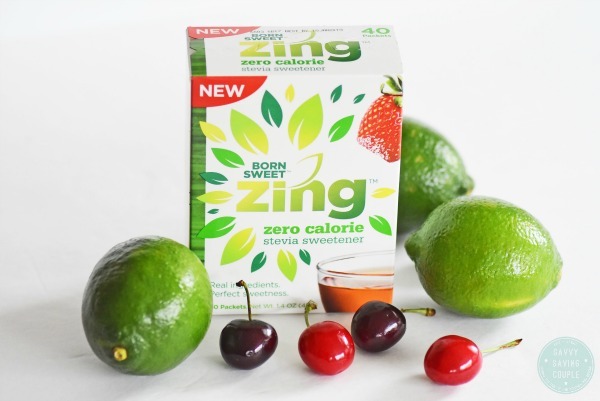 Interested in seeing which of your local stores sell Born Sweet Zing™ Zero Calorie Stevia Sweetener, head over here to plug in your zip code. Oh yum! That sounds super tasty! I think I am going to try this over the weekend. I have not heard of this sweetener before, but this drink looks awesome! We are going on a beach vacation this weekend and this would be a perfect beach drink! I don’t know why, but I’ve never been a big fan of the cherry flavor unless it were a slushie. But I have to tell you, just reading over this and seeing the photos has my mouth watering. I’ll have to give this a try. I have never had a cherry lime rickey! We used to get grape ones at the burger shop by our house all the time when we were little! This looks yummy. Sounds great! I wish I had one of these already made. I bet it would be very refreshing! It is nice to have a tasty virgin drink with fresh fruit. Cherries and limes pair nicely together. Mmm, we have a BBQ this weekend. I am going to make this! Yum! Not only does it look delicious, it sounds delicious, too! I will definitely be trying this! That looks very refreshing. Great drink to cool off with during the summer, without the buzz! What a fancy and delicious looking drink. I can almost taste it! I think I may try that out this summer, thanks for the recipe! This looks like an amazing drink. I could really go for this right away now. It would be so refreshing to have. I love to try virgin versions of drinks. This looks so delicious and easy to make. I will have to give this recipe a try. That has my name written all over it!! The perfect summer refresher, would love this when I am gardening!! This looks super delicious. With the heat wave arriving here I can use all the refreshing drink ideas that I can get!